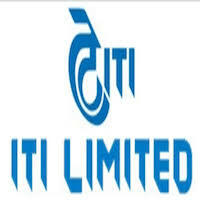 ITI Bangaluru Notification 2018.ITI Limited, Bengaluru has released a notification for the recruitment of Office Assistant on Tenure basis.Check the eligiblity and notification prior to apply for the positions. Qualification: B.Com/ BBA/ BA/ B.Sc with minimum 50% marks. One years of experience in administrative functions, database management and generation of various reports required for the dayto-day business management. Upper age limit: Not more than 32 years. Last date for submission of online application: 05.09.2018.